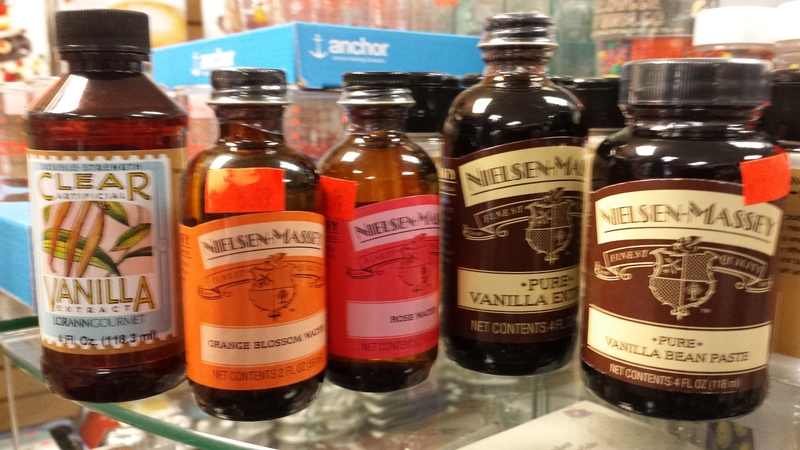 Vanilla Bean paste, Pure Vanilla extract, clear Vanilla extract Vanilla Sugar, Rose water, Orange blossem water n in stock in Temecula at Kitchen Fantasy! Kitchen Fantasy now has in stock in Temecula, Almond Emulsion, Almond extract, Pure Lemon Extract, Glycerin! Just drop in and pick some up! We have in stock too many to list on this site! Vanilla Bean Paste, Clear Vanilla, Pure Vanilla Extract, Vanilla Sugar, Orange Blossom Water, Rose Water in stock at Kitchen Fantasy Temecula. In business since 1984 family owned and operated! Proud to offer our emulsions and extracts..